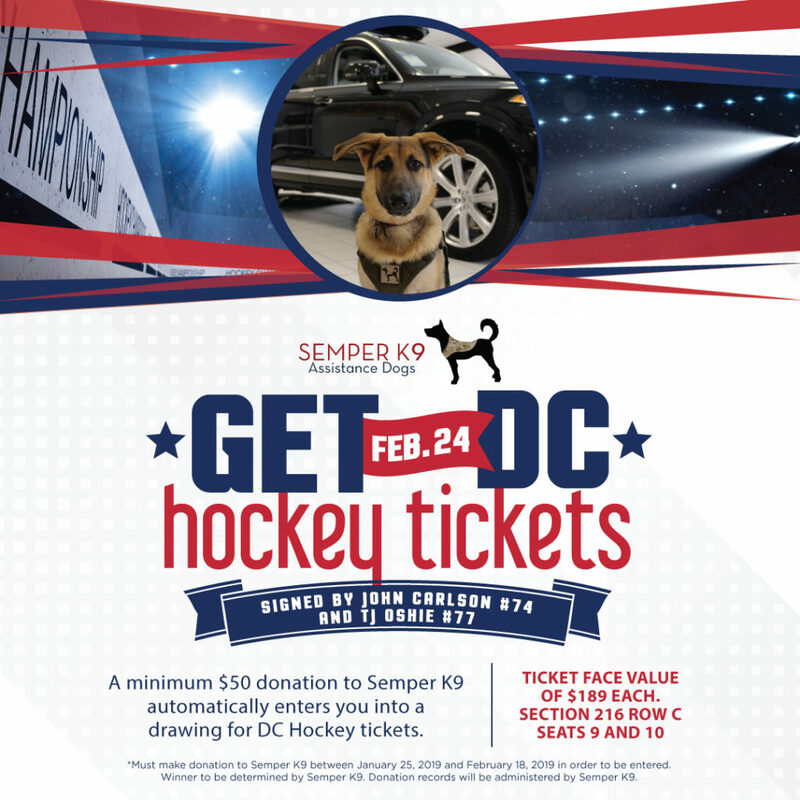 Calling all DC hockey fans! Want to win tickets to the February 24th home game against the Rangers? Make a minimum donation of $50 to Semper K9 via our donation page and you’ll be entered to win! 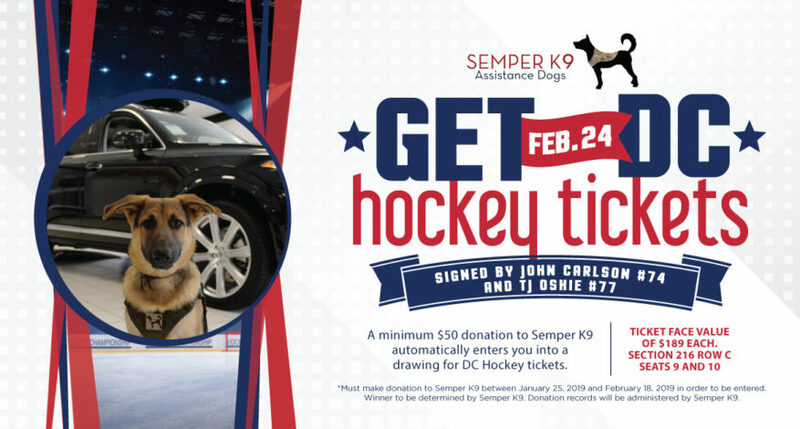 Tickets are signed by John Carlson & TJ Oshie. Tickets are valued at $189 each for Section 216 Row C Seats 9 & 10. Winner will be selected at random by Semper K9 on February 19th.